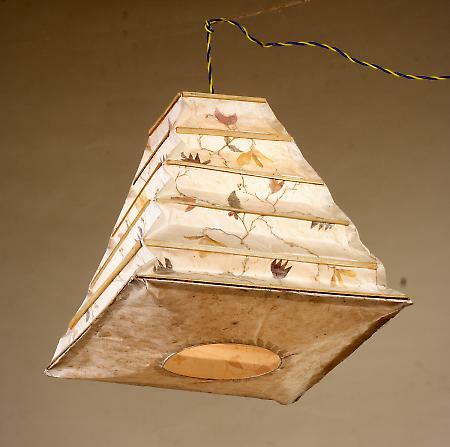 In the previous time the handmade paper craft was mainly carried out by Muslims known as Kagzis or the paper makers. These craftsmen have their roots in Arabia and over the years they have migrated to India mainly during the period of the Ghazni invasions(A.D. 997-1030). The craft flourished in India thereafter as the Buddhists, Jains, Hindus and Mughals were fond of books, paintings and written works. Today the craft is fading because of the mill made paper. In olden days the process of paper making was slow but over the years the industry has advanced with new technology and methods evolved to make the process faster. A variety of materials are also used, of which, sun-hemp, flax, sisal, water hyacinth and bamboo are most common. Hand made paper besides being aesthetic, is economical and environment friendly, characteristics which are dependant on the production process and uses waste material that has low energy requirement and is non polluting.